SINCE 1983 WE’VE BEEN HELPING ORGANIZATIONS USE TECHNOLOGY TO ENHANCE THEIR PERFORMANCE, PROCESSES, AND PRODUCTIVITY. Our assessments span external and internal penetration tests, applications, user security awareness, disaster recovery, firewall and border security, web and email content filtering, directory configuration, and proprietary information. With comprehensive knowledge of your vulnerabilities, we develop our remediation recommendations to maximize both the security of your environment and the cost-effectiveness of protecting it. Identify its cybersecurity infrastructure vulnerabilities as well as potential risks for threats and intrusions. Mitigate risks with high-value solutions based on security best practices. Provide best practices for production and non-production hardware in the areas of server architecture and capacity, virtualization, storage, network, and peripherals. Assess proposed web, application, database, batch, and ancillary server configuration with regard to sizing, scalability, load balancing, and failover. Establish a framework of application environments necessary to support implementations or upgrades, as well as ongoing production maintenance. Evaluate an On-Premise vs. Hosted solution and its impact to the project and ongoing operations. CherryRoad’s Business Continuity/Disaster Recovery (BC/DR) Assessment delivers the strategies and procedures that will help return your IT operations to an acceptable level of performance as quickly as possible following a disruptive event. Our strategies maximize the speed at which IT assets can be returned to normal or near-normal performance so that your organization can quickly get back to business as usual – or an acceptable interim state of operations. Better protect your people as well as your data, hardware, and software. Meet regulatory requirements for corporate governance and government legislation. Find and address process shortcomings through the operations review process. Demonstrate IT’s high levels of commitment, reliability, and performance to customers and constituents. Significantly reduce losses in the event a disaster occurs. Hundreds of public sector organizations consider CherryRoad their trusted partner for PeopleSoft back-office applications, including Human Capital Management, Financial Systems Management, and Customer Relationship Management. That’s because we understand how to implement solutions tailored to their operations, processes, constituent demands, compliance and reporting complexities, transparency requirements, financial and staffing pressures, and more. Operate significantly more efficiently and effectively. Improve financial, workforce and supplier base management and decision-making. Better prepare for expansion and increasing complexities. With our proven Hyperion expertise, CherryRoad helps clients more effectively navigate their program funding issues as well as visibly deliver on increased compliance and regulatory requirements and constituent demands for more accountability. Reduce cost of ownership by integrating Hyperion with other ERP applications. Optimize individual or collaborative budget proposals for incremental funding requests. Utilize flexible position/employee budgeting for more effective workforce planning. Reduce planning and budgeting cycle times with a powerful workflow and plan management framework. CherryRoad optimizes OBIEE for your specific needs, tailoring the relevant pre-packaged analytics to core functions such as HR, finance, procurement, project costing, project and grant finances, and governance and control. If needed, we’ll add additional subject areas, bring in more summarized data, and enable capabilities to slice and dice data differently. Quickly access complete and accurate data. Explore and discover new insights. Make faster and better decisions. Better align and assess your resources. Deploy best practices in analytics and financial management. Provide anytime/anywhere access to insights with mobile capabilities. CherryRoad’s GRC expertise enables our clients to replace homegrown reporting systems and other disconnected ad hoc methods with a common platform for managing enterprise risks and controls. Our practical and talented consultants tailor and enrich the functionality of Oracle’s leading-edge GRC suite based on your organization’s specific objectives. Standardize the process of identifying, measuring and responding to operational risks. Utilize executive-level dashboards to highlight key risk and performance indicators and provide detailed source evidence. Assess root causes and accountability for risk via tracked loss incidents and ownership. Protect information assets from security breaches. Reduce costs while optimizing compliance and service levels. Automate enterprise management of compliance documentation, assessment, analysis, and certification. Accelerate your successful adoption of Oracle HCM Cloud. Connect and optimize workforce management processes, including payroll and benefits, employee lifecycle management, training, and more. Optimize self-service capabilities with unified user experiences, connect-anywhere capabilities, and role-based functionality for all staff. Leverage the tremendous analytics and business intelligence capabilities of Oracle HCM Cloud. Reduce costs associated with deploying, managing and supporting on-premise applications. Gain instant access to application updates and innovations. Learn more about our Civil Service offering. Recruit strategically to fill gaps in skills and competencies. Identify, track, and nurture top talent. Move talent according to organization needs and career goals. Align individual goals with organizational objectives, measure performance, and provide frequent coaching and feedback. Manage essential training tied to compliance, regulatory requirements, job roles, and onboarding needs. Improve hiring efficiency and effectiveness with optimized self-service functionality and adoption. Modernize and simplify an integrated, enterprise-wide planning and budgeting process with seamless management reporting. Reduce costs associated with deploying, managing and supporting on-premise applications as well as integrating with other applications. Lower total cost of ownership by reducing hardware costs and integrating with other ERP and Cloud applications. Connect unlimited staff members to rich self-service features with an intuitive, mobile-ready user interface. Accelerate successful adoption of Oracle Financials Cloud. Leverage continuous innovation in key technologies such as mobile, social, and analytics deployed in the Cloud. Empower budget managers, business managers, and decision-makers with real-time, self-service reporting and analysis. Reduce costs associated with deploying, managing and supporting on-premise financial applications. Gain instant access to Oracle Financials Cloud updates. Practice smart sourcing by uncovering savings opportunities, prioritizing procurement actions, and negotiating enforceable agreements. Expand self-service by promoting requester satisfaction, motivating appropriate choices, and enabling widespread use. Protect mission interests by balancing competing objectives, limiting unwanted behaviors, and adapting to operational disruptions. Reduce costs associated with deploying, managing and supporting on-premise procurement applications. Gain instant access to Oracle Procurement Cloud updates. Core infrastructure hosting (co-location, partially and fully managed infrastructure options) and comprehensive management in a highly secure, certified environment. Dedicated 24x7x365 support center services. Access to our web-based Management Portal. Database administration, maintenance and optimization. Commitment to customer satisfaction backed by guaranteed response times and pre-defined escalation procedures in SLAs. CherryRoad offers the ability to provision servers, storage, network, and operating systems as needed while getting the benefit of using Oracle’s engineered systems. This allows our customers to receive the benefits of outsourcing infrastructure needs while maintaining security via our private network. Buy only the infrastructure you need: Eliminate large investments in hardware and data centers, with no wasted excess capacity. Make it easy on your staff: Along with the infrastructure CherryRoad can provide the resources to setup and support your needs. Accommodate remote teams in different locations: Project and support teams have the secure connectivity into our platforms so usage can be provided 24/7/365. Assure Security: Our subscription-based IaaS model includes secure data centers, backups, recovery and strict adherence with industry standards and practices. Focus on your Core business: Get your IT resources focused on solutions for the business and leave the commodity related items to CherryRoad. Complex regulatory requirements. As public sector organizations face immense challenges, the need for an updated and cost-effective disaster business continuity/disaster recovery solution has reached critical status for many. State-of-the art disaster recovery facilities that offer the highest levels of security, application protection, and service reliability and are designed for fault-tolerance. Physical security controls and procedures that keep mission-critical applications up and running around the clock. Our facilities are secured 24x7x365 by full-time, on-site staff and dedicated security personnel through the use of proximity card readers, biometric sensors, and video surveillance systems. A right-sized level of service, with our Gold, Silver, and Bronze options serving as excellent foundations for further tailoring to your application protection needs. We help you select the right level of redundancy based on your tolerance for risk, as well as optimize the solution to meet your recovery objectives and budget. Built around our decades of technology experience in public sector markets, our PaaS solutions are unified environments that enable a flexible infrastructure, a powerful standards-based platform, and a comprehensive portfolio of business applications – all on a subscription basis. CherryRoad’s Public Sector Assessment combines a fully configurable, web-based solution with flexible report and user dashboards. Providing hiring managers with more visibility into and control over the recruitment function, it enables significant efficiency improvements, including a reduced time to hire. Our cloud solution supports multi-phase assessments and eligible list management within the Uniform Selection Guidelines used in Civil Service and Merit systems. It also supports candidate test scheduling, uploads of exam results from third-party vendors, adverse impact analysis, score rescaling, candidate ranking, banding, list promulgation, and more. Incident management, including call center/help desk support, issue management and resolution services (break/fix), and technical/functional support. Enable staff to work from anywhere. More effectively connect people, processes, and technology. Assure business continuity and disaster recovery. A long-time Oracle Platinum Partner, CherryRoad supports clients’ installed and often customized enterprise systems. A complete set of application management services to provide full support and maintenance of Oracle across the enterprise. Development management services that leverage our decades of collective knowledge and experience from over 500 projects to provide you with effective customizations, user interfaces, and enhancements, and more. Release management services that streamline and accelerate upgrades to keep your current platform current and optimized. Incident management services that capture, manage, resolve, and communicate issues using our provide tools and processes. 24x7x365 available to cover all shifts. Powered by ServiceNow, including Incident and Problem management as well as ability to expand to other ITIL disciplines, such as Request Management. Scalable to Level 2, 3, and 4 support and can be integrated with your existing support team and ticketing system. Service Level driven with weekly/monthly reports to provide transparency and trending. Self-service portal offered for entry and review of incidents. Powered by ServiceNow, including Incident and Problem management as well as ability to other ITIL disciplines such as Request Management. Can be integrated with your existing support team and ticketing system. CherryRoad supports all your training needs, including assessment and planning, solution design, and implementation needs. 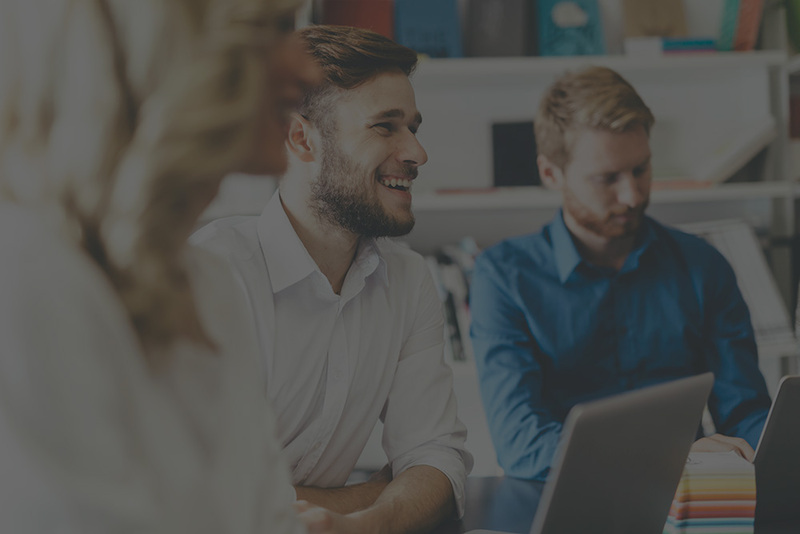 Whether it’s kick-off training for your implementation project team, training to enable test phases, or training of in-house trainers, IT, or end-users, we’re experts in effective content and delivery approaches. Our solutions span virtual classrooms, onsite sessions, online self-study, or a combination – from multiple user devices. Baseline: At this level we cover how the system is put together and how to use it – and automated updates are included. Customized: Here we tailor the baseline training so that screen shots match yours. Learning Management System (LMS): You can also deliver your training through CherryRoad’s LMS, so you’ll have tracking, reporting, quizzing, and more. We’ll also set up your training program within our environment so you don’t incur the costs of your own. Our deep experience in these unique markets gives us intimate knowledge of back-office processes, from payroll and procurement to recruiting and onboarding. Offering high-quality, cost-effective, and reliable services along with a diversified product portfolio and a variety of platforms, CherryRoad manages all or part of organizations’ application needs better and faster. Upgrade service levels to stakeholders. Improve process quality, speed, security, and compliance. Fill gaps in budgets, skills, and resources. With deep trust in our PeopleSoft heritage and infrastructure experience, organizations turn to CherryRoad for hands-on consultants to support a wide range of needs. This includes application development and maintenance, data management, systems analysis, business analytics, integration, quality assurance and testing, security, enterprise systems support, program management, and even day-to-day back-office operations like payroll. Fill temporary gaps in required expertise. Access proven talent on demand. We invite you to contact us to learn how we’ve helped other organizations with their needs. © 2017 CHERRYROAD TECHNOLOGIES INC.